There is no one in my house who deserves a special delivery package more than my two furry babies. The biggest issue I have when finding the right product for my two guys is keeping the products natural, while making sure they are items they will love. Recently, John Ratzenberger, yes, Cliff from Cheers, offered a gift box, Paw Pack, as part of his new group called The Gift Box. They are gift boxes that keep giving and offer the type of products that go with our lifestyle. The products are organic, natural, grain free, healthy, and eco-friendly. 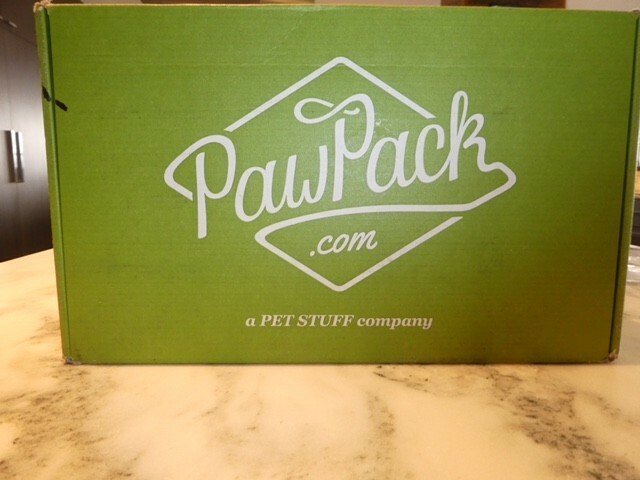 So, I must say while we were provided with the Paw Pack box for review, we were not compensated for writing this post and as always, all opinions are my own. Our box came during the holidays and was filled with both toys and treats, curated just for us. Inside was a treasure trove of holiday yummy biscuits like, Dogs Love Kale in turkey and sweet potato, Exclusively Dog Meatloaf Slices, and Bubba Rose homemade organic specialty cookies. Each of the goodies met our treat requirements for our pups; they were made with all natural and organic ingredients. In terms of the toys, one was the perfect size for our little Max and Bear loved the big boy toy, which he ended up sharing with Max in a spirited came of tug and war. We are looking forward to seeing what other monthly treats arrive in our Paw Pack box and what surprises the specialty boxes have in store for us. There is no long term commitment; you can cancel at any time without a fee. You get to try new goodies you wouldn’t otherwise know about. The company supports local, independent, and small businesses that are looking to do things differently and are passionate about the quality they provide. With every purchase you help feed 10 rescue pets. You can earn RewardPoints for goodies or FREE boxes. There’s 100% satisfaction guaranteed, so you can send the box back for a full refund. The products are hand selected and curated by people who know and love animals. You can switch boxes at any time. You can give as a gift or buy for yourself. The price point is not crazy high and you’re billed monthly. It’s either $31.50 a month or $35 for a one-time purchase. When I was corresponding with the representative, she mentioned that besides the PawPack, which is the premium all natural box for pets, there are many other choices as part of the bigger company, The Gift Box. The other boxes include, the Sweets Gift Box, the Pet Gift Box, and soon to be released Fishing, Escape/Travel, Chef, and more. Being avid fly fishers, foodies, and travelers, we are so looking forward to the addition of the new boxes. With the twins on their way home to visit, the Sweet Gift Box also arrived at my door. The box was perfect for sweet gourmet treats and included items like Carmel Chocolate Chip Cookies that were thin and melted in your mouth, Fatty Sundays’ Peppermint pretzels, and more items we all enjoyed. Who are you going to order a box for? Is it yourself, your furry friend, or friends and family? Or hey, how about all of them?